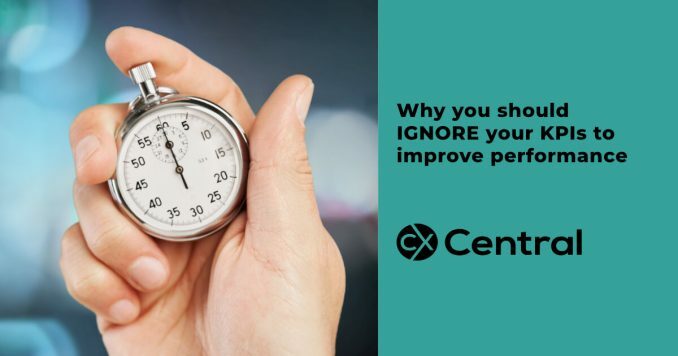 Is it time to ignore KPIs? Years ago – before I smashed my ankle into a thousand pieces surfing – I was training for a marathon. Every morning I used to run from Sydneys Bondi Beach to Coogee Beach and back (approx. 18km). This is one of the most beautiful coastal walks in the world and is widely regarded as such. It winds along the cliffs, up and down beaches and gullies, past jaw-dropping scenery with the sun rising over the Tasman sea. In winter, you can often see humpback whales breaching as they migrate along the coast. In summer, the waves are filled with early morning surfers (I used to be one of them) and after your run, when you get back at Bondi you can paddle out to catch a few waves before grabbing a coffee and starting the day. Sounds absolutely idyllic doesnt it? Well, it wasnt. I had done a half marathon in 80 minutes previously and so I was determined and pretty confident, I could do a marathon in 2 hours and 45 minutes, which meant I had to be able to do the Bondi to Coogee run in under 65 minutes. For three months, I vainly battled. My time inched down at the speed of drying paint from 67 to 66 ½ to 66 – where it got stuck. No matter how hard I trained and how focused I was on the time, I couldnt go faster. I tried different types of training methods, but nothing. I knew every single split time at every single turn as I ran the route each day. Each day I would finish exhausted and frustrated. The frustration got to the point where I no longer even remotely enjoyed it. I dreaded getting out of bed each morning knowing that despite my best efforts I wasnt going to get to my goal. Starting the day frustrated, annoyed and stressed because I wasnt achieving what I wanted started to affect the rest of my day  putting me in a bad mood, snapping at people, constantly seeing the glass half empty. One day a friend suggested I stopped looking at my watch and instead looked around me as I ran. After all, this is one of the most beautiful runs you can start the day within the world so enjoy it! I didnt look at my watch or worry about the time splits. As I ran I started to feel an old but unfamiliar feeling  I was actually starting to enjoy myself. Running back down into Bondi with an enormous grin on my face I looked at the time and was stunned  66 minutes. I had run just as fast as when I manically focused on my split times and watch. The difference was that instead of being frustrated, angry and down, I was energised, happy and positive. Suddenly all the glasses were half full again. KPIs are important  they enable you to track how you and your business is performing. They are a useful guide. However, that is all they are a guide. Dont let them become your rasion détre. For whatever reason, when you took this job or started this business it was exciting, it made you happy, it energised you, it motivated you to leap out of bed in the morning, so, when the numbers aren’t going well, dont get too hung up on them. Remind yourself why you did it in the first place, start enjoying yourself again and as I said in last weeks blog, focus on the process, not the performance, square your shoulders, stand tall and put a huge smile on your face and the numbers will come.